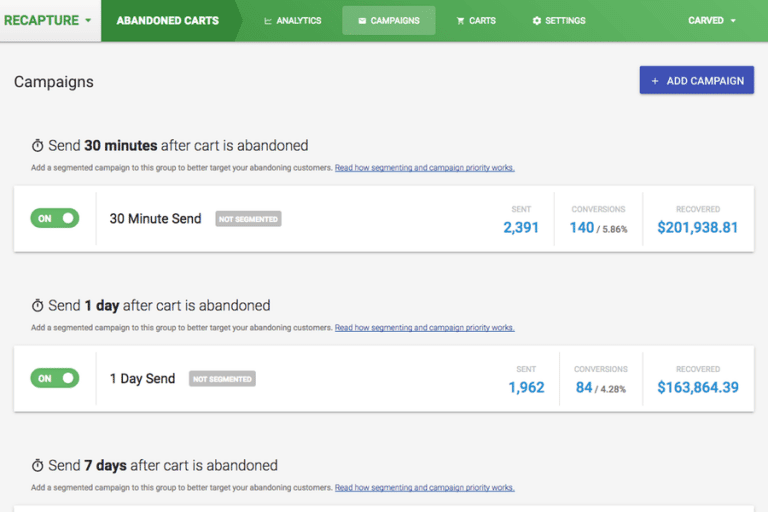 Recapture provides abandoned cart recovery and email marketing for Shopify and Magento stores. Recapture also provides review reminders and email list building tools. 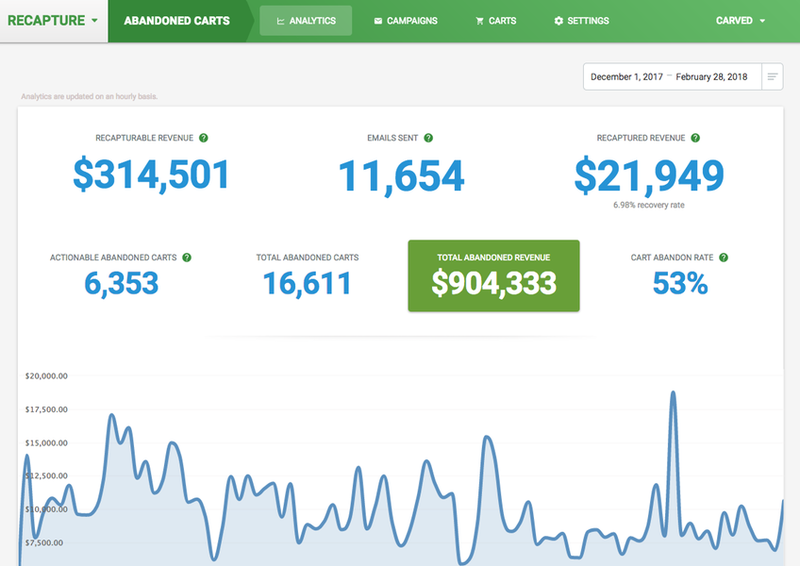 Recapture’s services include automated abandoned cart recovery, segmented, targeted email campaign options, email collectors and exit-intent popups, multi-currency and language support, and more.